Getting hurt at work can be physically, mentally and financially devastating to workers. While Colorado workers compensation is intended to provide injured workers with some financial support after suffering workplace injuries, the process of applying for benefits can be complicated – particularly when workers are struggling to recover. Denied entirely even when they legitimately deserve Colorado workers compensation benefits. 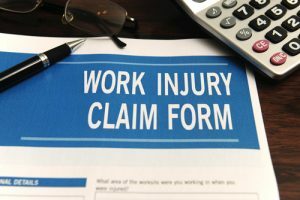 To help injured workers avoid such problems with their Colorado workers compensation claims, in this three-part blog series, we will point out some of the most common mistakes people make when pursuing benefits. If you have questions about your claim or want to ensure that you completely sidestep these mistakes, be sure to contact Colorado Springs Workers Compensation Attorney Kenneth Shakeshaft. Mistake 1 – Not telling an employer about the work injuries. Applying for Colorado workers compensation can be complicated. Here are some common mistakes to avoid making so you don’t sabotage your claim. It’s highly advised that people who suffer workplace injuries tell their employers as soon as possible about their injuries. However, of course, some injuries may be too severe, and people may not even be conscious after a work accident. In these cases, Colorado law dictates that injured people are required to inform their employers within four days of getting hurt and that this report must be submitted in writing. Verbal reports to employers do not count in the eyes of the law. If people don’t know about this requirement, forget about it or simply ignore it, they can lose benefits for everyday late they are reporting their work accident to their employer. For instance, if someone doesn’t end up telling their employer about his work injuries until 9 days after his accident (or 5 days after the reporting time frame ends), he can end up losing 5 full days of compensation if his Colorado workers compensation claim is ultimately approved. Mistake 2 – Not going to the doctor an employer has chosen. When people tell their employers about getting hurt at work, injured workers are legally required to see the doctor their employer has chosen (if their employer has specified one or a few choices) in order for their medical care to be covered by Colorado workers compensation. If, however, an employer does not specify a doctor, then injured people may be able to see their own doctors, and they should be prepared to possibly see an insurance provider’s doctors. If injured people choose not to see a doctor that their employer has specified, then these people will typically end up having to cover the costs of their medical care. This can be an extremely expensive mistake when injured workers have suffered more severe injuries that require long-term treatments. For some more common mistakes to sidestep when applying for Colorado workers compensation benefits, look for the second and third parts of this blog series that will be coming soon! Colorado Springs Workers Compensation Lawyer at Shakeshaft and Gorman Law Firm, P.C. Have you or a loved one suffered a workplace injury? If so, Colorado Springs Workers Compensation Attorney Kenneth Shakeshaft is help you recover financially so that you can put your life back together. To learn more about how Shakeshaft and Gorman Law Firm can help you, schedule a free initial consultation with us by calling (719) 635-5886 or (800) 383-5886. You can also email us using the contact form on this page. We don’t get paid unless or until you get paid, so you have nothing to lose and everything to gain by contacting us today.